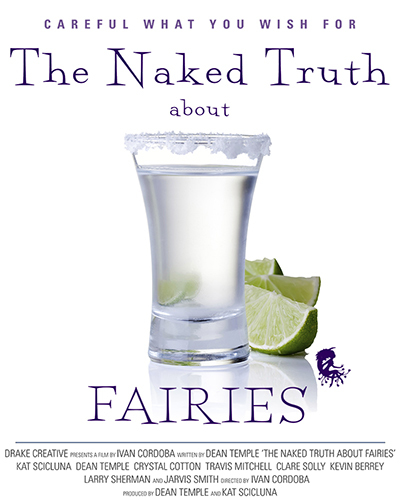 The Naked Truth About Fairies, written by Dean Temple, as well as co-produced by and co-starring Dean and Kat Scicluna, will have a private screening at the Anthology Film Archives on June 21, 2014. More information about Fairies can be found on the film’s website: nakedtruthaboutfairies.com. The event, organized by Kat and Dean, also includes several other projects the two have worked on in the past year, including The Convict, directed by Mark Battle and starring Dean, Plans, directed by Aaron Peck and Starring Kat and Ryan Katzer, Studio Six, produced by and starring Kat, and a trailer for Jack is Pretty, directed by Jarek Zabczynski and written by Ryan Katzer.